The way I rate poetry depends entirely on the emotional response I have. Usually, with books, I look at the writing, the main character, plot developments. Poetry, on the other hand, is much more complicated and I am not by any means a master (nor am I with books, but obviously nothing is stopping me). So, I usually just go with whatever reaction I have. If I have no reaction, then most likely I will rate it low. If I do, then well it depends on the emotion evoked and my interpretation of the written words. If I had to give a emotion to what this poetry book made me feel, it would be empowerment. 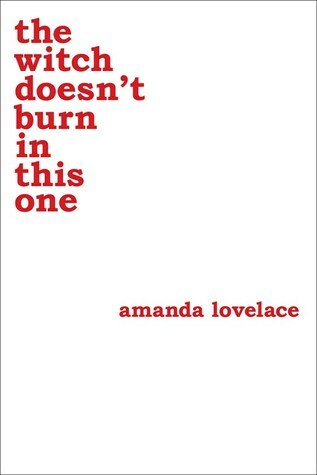 While Lovelace’s last book was enjoyable it didn't have me respond like this one. I read this in one day because I wanted to keep the feeling alive. I fully believe this is the type of poetry book you can skip to any page every day and love what your reading, while feeling like a woman building herself up to great feats. I am a 30-year-old woman and it's somewhat refreshing to still became so open to a non-self help book and feel this way (although, this is a self-help book in its own way). While there formatting was a slightly bothersome I really loved the book. A must read for any girl/women who need encouragement and support.